Okapi is a pocket knife and hand-tool manufacturing company based on the North-East coast of South Africa. Supplying Africa with affordable, highly durable and functional knives and agricultural tools for 112 years has been no small task but accomplished with much success. With such a wide range of environments and conditions to factor, from the arid savannahs to the thick, tropical jungles, Okapi products can be found taming the wild in all of them. 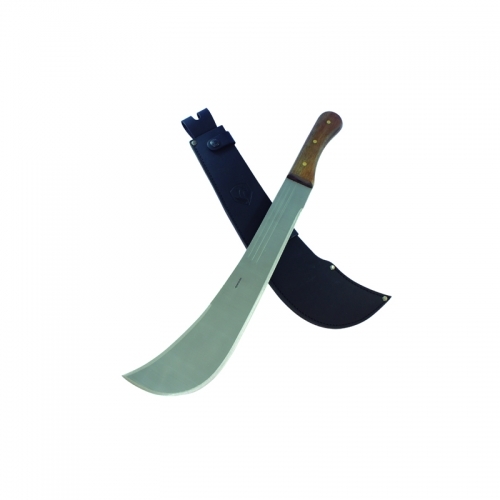 From forestry and fire control implements to machetes to sugar cane knives, Okapi covers the gamut to be a one stop shop for all needs. No one dares to go into the bush without an Okapi machete. With blade sizes from 14” for those tight, confined thickets up to 24” blades for tall grass and weeds in those wide open spaces, Okapi offers a broad selection of sizes in between to fit your needs. 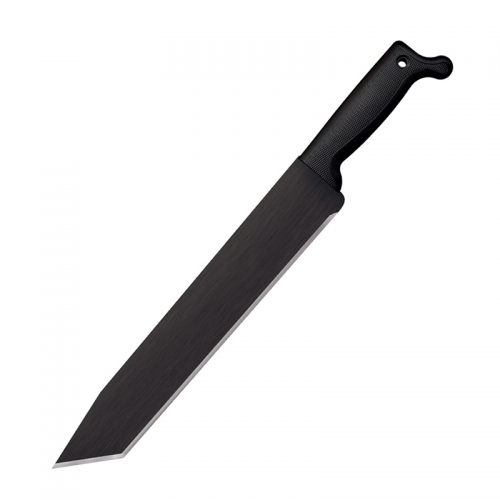 Our Reliance Series Machetes feature black coated, 1055 high carbon steel blades for rust prevention. The orange injection molded handles are textured and comfortable to grip. They are also resistant to shrinkage and swelling and the bright orange makes it easy to find if you drop them in thick bush. The handle features a prominent lanyard hole for securing the blade to your wrist via lanyard (not included) or easy merchandising. 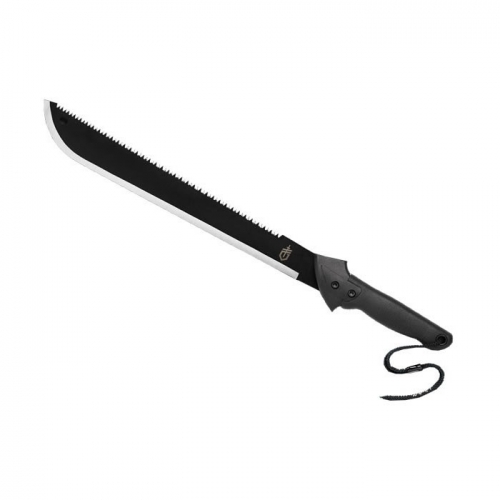 Blade lengths range from 14” to 24” and are also available in a more traditional satin finished blade with wood handles. 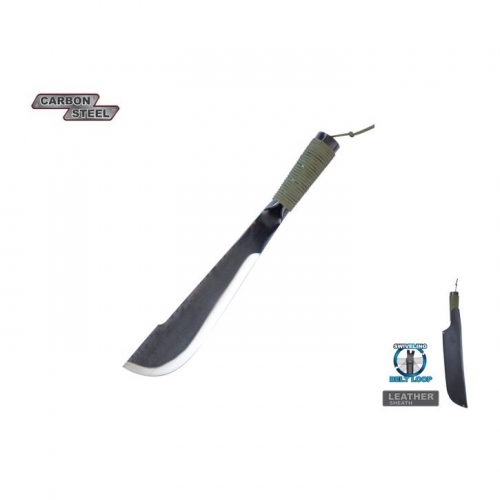 PRODUCT DETAILS Key Features: 18″ black coated 1055 carbon steel blade Orange injection molded handle Economical and durable SPECIFICATIONS Overall: 2 Blade Length: 18″ Handle Length: 4 3/4″ Weight: 1.0 lbs Blade Steel: 1055 Handle Material: Plastic Specs will vary slightly from piece to piece.